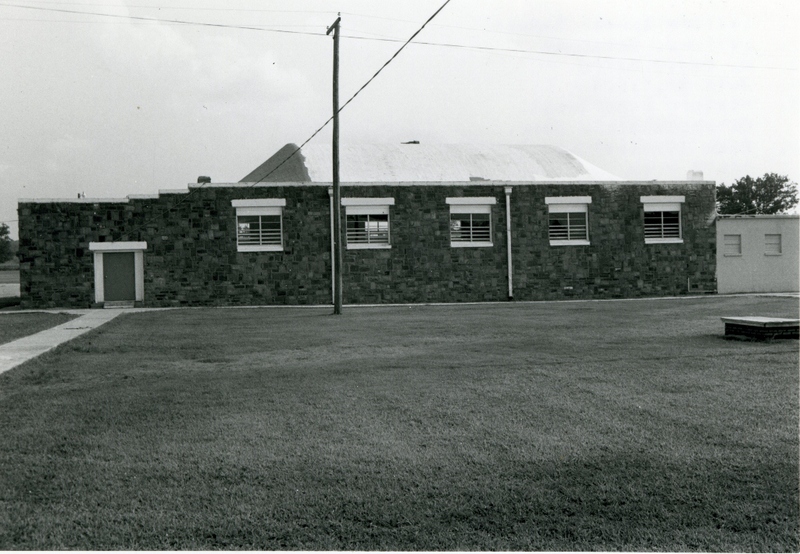 The Leflore school campus consists of three WPA structures: a high school building, an elementary school building and a gymnasium/auditorium facility. 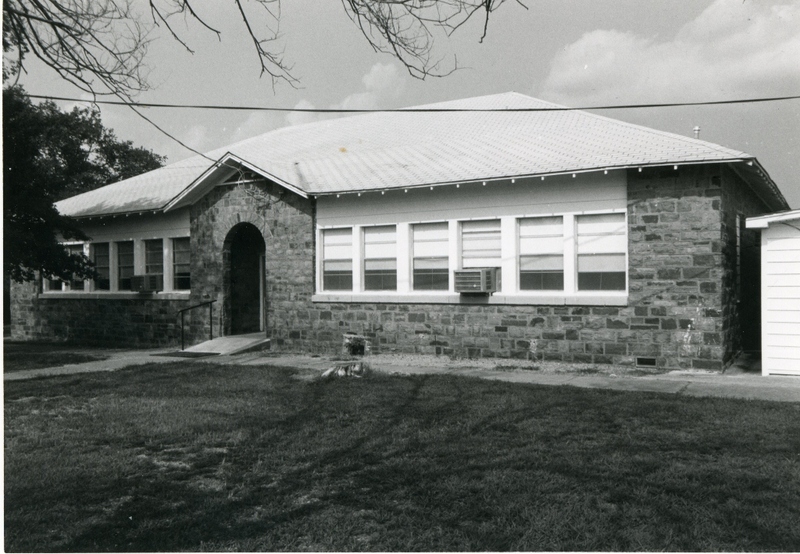 A building of at least four rooms, the Leflore high school is a single story, rectangular (55′ x 78′) structure constructed of lightly rusticated and coursed native sandstone. 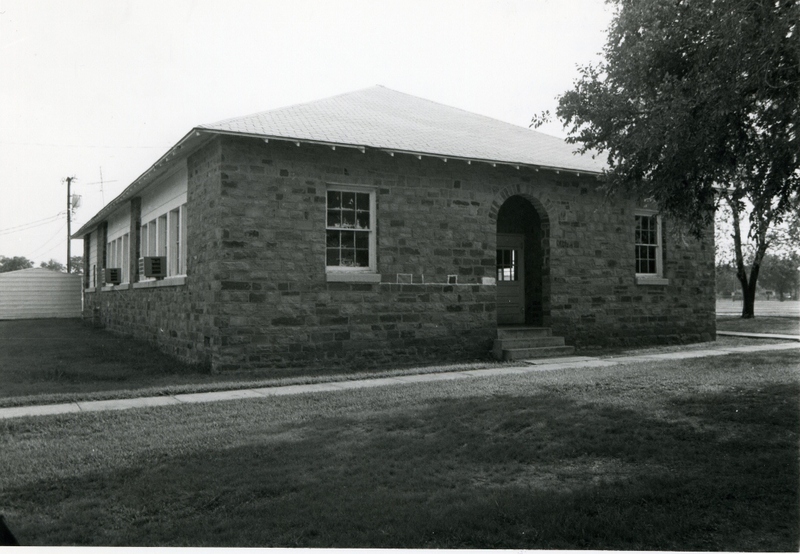 The roof, now covered with composition shingles, is gabled; classroom window openings with concrete sills reach to the eaves; and double-door entryways are recessed behind arches. Window openings have been reduced in size by wood inserts and smaller, energy efficient windows installed. The integrity of the building has not been impaired. 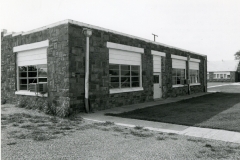 Fifty-four feet east of the high school is situated the elementary school building. 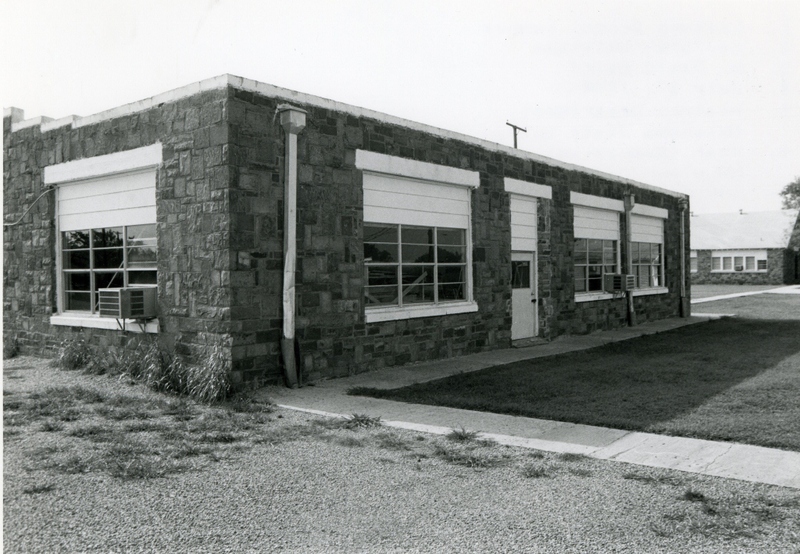 Constructed of cut and coursed native stone, it is a single story, rectangular (70′ by 42′) structure with a hipped roof. The masonry is of better quality than on the high school. A frontal cross gable covers an entryway recessed behind an arch; end entries are also recessed behind arches. 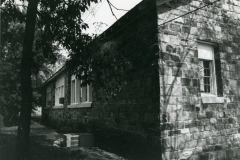 Classroom window openings, which extend to the eaves and have concrete sills, have been reduced in size with wood inserts and smaller, energy efficient windows installed. The integrity of the building has not been impeached. 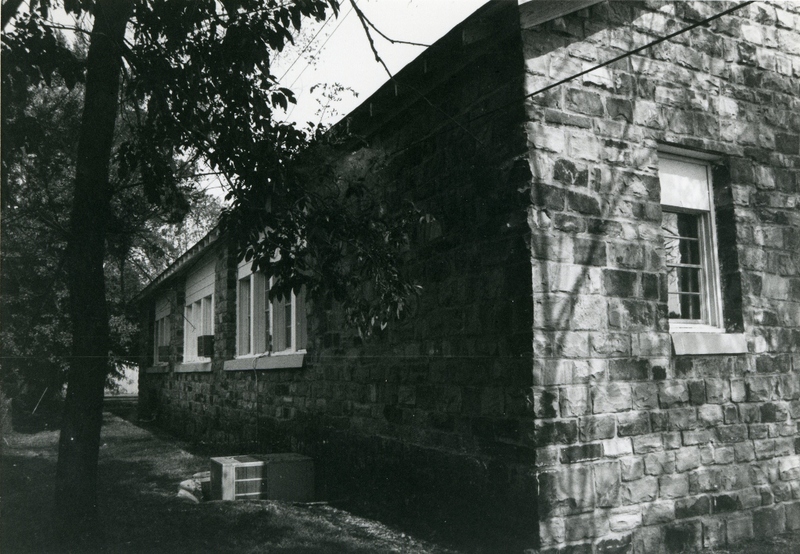 To the south end of the building is situated a small frame building, temporary in character. It is not included in this nomination. One hundred thirty-five feet south of the elementary school is the gymnasium/auditorium with classrooms. 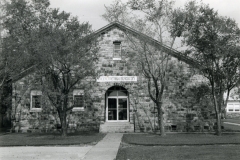 It too is constructed of rusticated and coursed native stone. 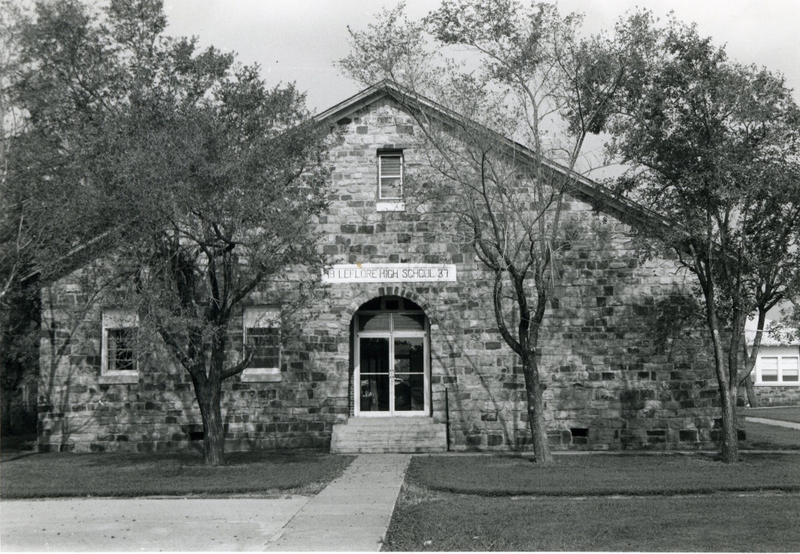 Rectangular (97′ x 67′) in size with high ceilings, the building has an arched roof over the gym and a flat roof over the classroom section, both with parapets. Window openings with concrete sills and lintels have been reduced in size and smaller, more energy efficient windows installed. Also a concrete block addition has been attached to the west front of the gym. Despite these alterations the integrity of the building is still intact. 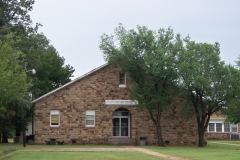 The Leflore campus demonstrates the dependence of southeastern Oklahoma upon WPA built facilities: for almost fifty years there has been little formal education in the community outside of WPA structures. 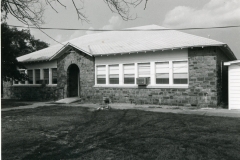 The three buildings brought modern education to the isolated district of Leflore. As WPA school structures, they are notable for their quantity and for demonstrating at one location the improvement of workmanship over time. Within the community they are unique architecturally because of their type, style, scale, materials and workmanship. 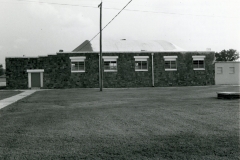 Not to be forgotten is that construction of the Leflore campus provided work opportunities for unskilled and unemployed laborers who had for months been without economic security and had dispaired of ever again achieving it. VERBAL BOUNDARY DESCRIPTION: Situated on the east edge of the Leflore community, the nominated property begins at a point 531 feet south of the NW corner of Sec. 22, T 5 N, R 22 E, and runs 416 feet east, 416 feet south, 416 feet west, and 416 feet north.